Linley Ivory Rugs are the latest in the fashionable floor trend of striped rugs. Rather than bold stripes, Linley uses subtle variations in shading and colour to distinguish the lines through blending. The subtle sheen that you see is due to the 30% viscose content of the pile (the remaining 70% content is premium quality wool). 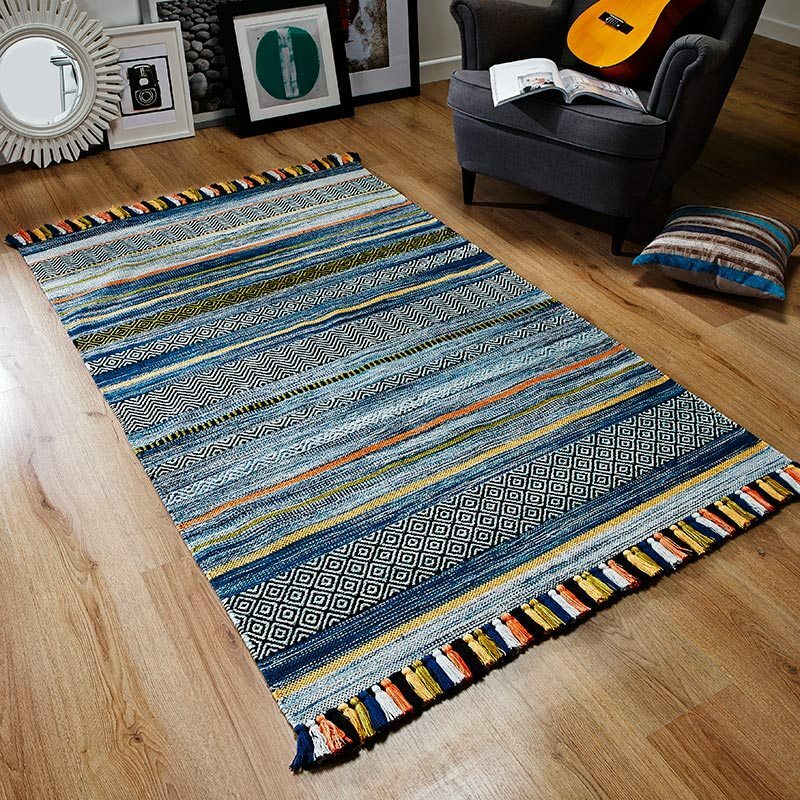 The Linley rug is available in 3 room pleasing sizes, a medium size 120 x 180, large 160 x 230 and extra large 200 x 300 size. Loom woven in India Linley is a high quality design from Asiatic Carpets and if Ivory is not quite your shade there are 3 other colours to choose from - Natural, Charcoal or Slate. Buy this Ivory Linley rug online and treat your floor with elegant stripes.